Overseas Care Package volume 21(!!) is here! A hair accessory made from a griffon feather. Additional Aspd + 1%, if the users base Agi is 108 or higher. Aspd + 1, if the users base Agi is 108 or higher. Reduces damage taken from Wind property attacks by 5%. Increases long-ranged damage on targets by 2% per level of Cannon Spear known. Increases long-ranged damage on targets by an additional 2% per level of Overbrand known. Increases the damage of Cannon Spear by 30%. Increases the damage of Overbrand by 20%. Reduces the SP cost of Banishing Point by 15. Reduces the SP cost of Cannon Spear by 10. Reduces the SP cost of Grand Cross by 30. Reduces the SP cost of Shield Press by 5. Increases the damage of Banishing Point, Cannon Spear and Shield Press by 20%. Reduces the variable casting time of Grand Cross by 100%. Increases the damage of Genesis Ray by 1% for every 30 base levels. Increases the damage of Grand Cross by 1% for every base level. Reduces the SP cost of Genesis Ray by 10. Additional Atk + 60, if the users base Agi is 108 or higher. Additional Atk + 80, if the users base Agi is 120 or higher. Additional Aspd + 5%, if the users base Agi is 108 or higher. Additional Aspd + 7%, if the users base Agi is 120 or higher. 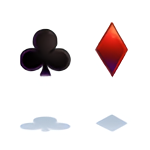 Reduces damage taken from Demi-Human race enemies by an additional 2%, if the users base Agi is 108 or higher. Reduces damage taken from Demi-Human race enemies by an additional 4%, if the users base Agi is 120 or higher. Immune to Blind and Silence. A Seal once owned by a legendary gambler. Only those who know what true luck is, will be able to get the seal. Reduces damage taken from Arrow Storm and Gates of Hell by 10%. Reduces critical damage on targets by an additional 2% for every 10 base Dex. Additional Crit + 1, Atk and Matk + 2 for every 10 base Luk. 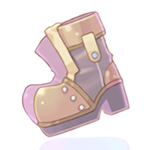 Additional Crit + 5 and increases critical damage on targets by an additional 10%, if the users base Luk is 108 or higher. Additional Crit + 10, increases critical damage on targets by an additional 17% and reduces damage taken from Arrow Storm and Gates of Hell by an additional 30%, if the users base Luk is 120 or higher. Additional Aspd + 1, if the users base Luk is 108 or higher. Additional Aspd + 2, if the users base Luk is 120 or higher. Increases critical damage on targets by 2%. Increases critical damage on targets by an additional 2%, if the users base Luk is 108 or higher. Increases critical damage on targets by an additional 4%, if the users base Luk is 120 or higher. Increases critical damage on targets by an additional 2% for every 10 base Dex. Enables Splash Attacks, if the users base Luk is 120 or higher. 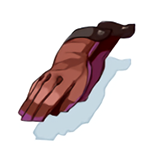 Gloves provided from Prontera. Wearer becomes indomitable. Reduces damage taken from Demi-Human race enemies by 3%. Reduces damage taken from Fire, Water, Wind and Earth property attacks by 5%. 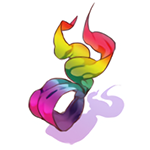 Scarf emitting rainbow light. You can feel power of 4 elements. Max HP and Max SP + 2%. Increases long-ranged damage on targets by 2%. If Prism Rangers Scarf upgrade level is +5 or higher, additional Max HP and Max SP + 3%. Increases long-ranged damage on targets by an additional 3%. If Prism Rangers Scarf upgrade level is +7 or higher, additional Max HP and Max SP + 5%. Increases long-ranged damage on targets by an additional 5%. Reduces the cooldown of No Limits by 180 seconds, if Warg Ride is at maximum level. Reduces the global delay of skills by 10% if Camouflage is at maximum level. Reduces the cooldown of Arrow Storm by 0.2 seconds. Increases long-ranged damage on targets by an additional 2% per level of Aimed Bolt known. Increases the damage of Arrow Storm by 1%. When Prism Rangers Scarf is unequipped, No Limits effect is disabled. Reduces damage taken from Fire property attacks by 75%. Reduces damage taken from Water property attacks by 75%. Reduces damage taken from Wind property attacks by 75%. Reduces damage taken from Earth property attacks by 75%. Thing that used by presbyter of ancient Morocc It is absolutely light and well ventilated. If upgrade level is +7 or higher, additional Flee + 20. 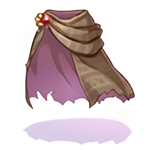 If upgrade level is +8 or higher, additional Flee + 30 and restores 100% HP and SP to the user when resurrected. If upgrade level is +9 or higher, additional Flee + 40. If upgrade level is +10 or higher, Perfect Dodge + 25. Reduces damage taken from Fire property attacks by 50%. Reduces damage taken from Shadow property attacks by 100%. When performing a physical attack, adds a chance of endowing the users weapon with Ghost property for 60 seconds. 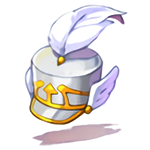 Adds an additional chance to endow the weapon per upgrade level of Pure White Marching Hat. These shoes were worn by a man who made a living out of engineering. They contain the man's many years of experience. Increases the experience given from Formless race monsters by 5%. 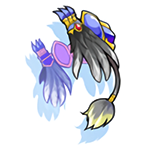 Increases the experience given from Formless race monsters by an additional 1% per upgrade level of the item.